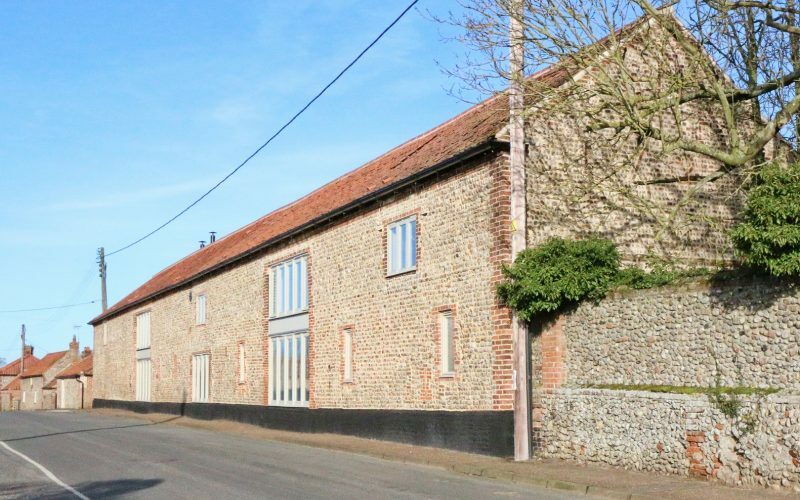 Jacobs Barn is a stunning brick and flint style barn oozing style and character. 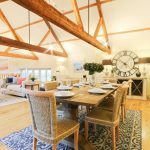 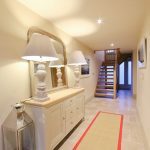 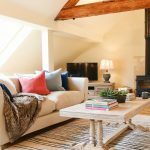 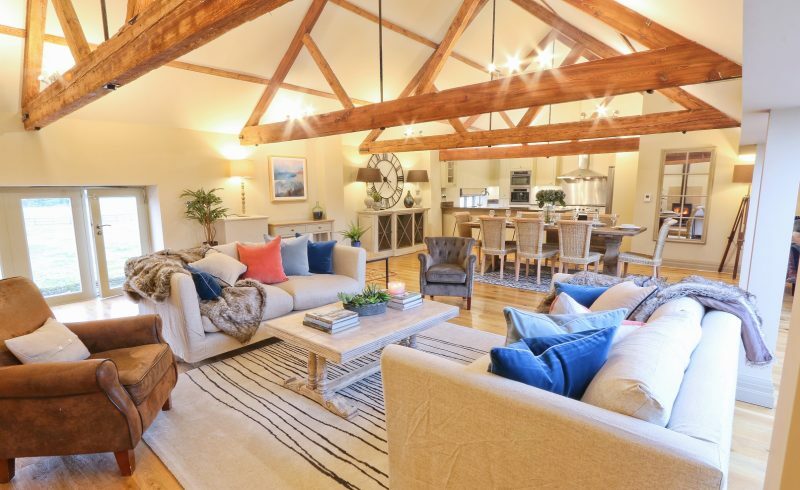 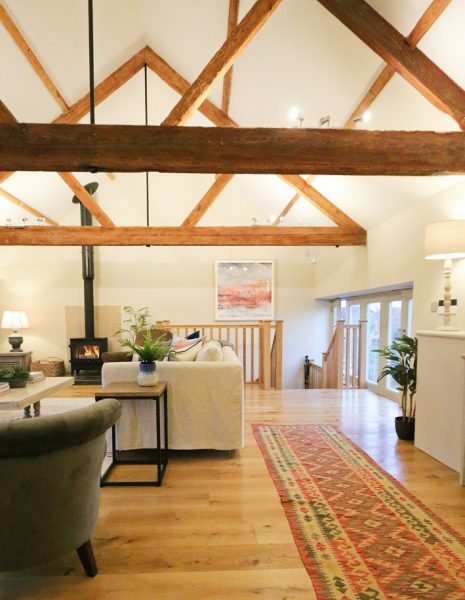 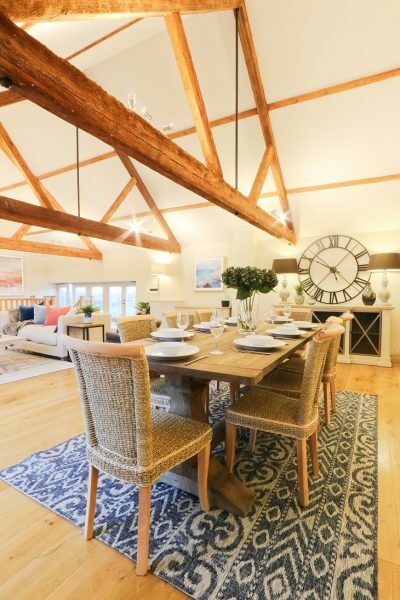 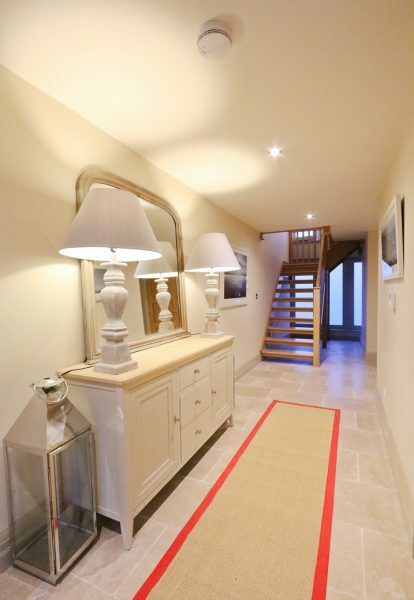 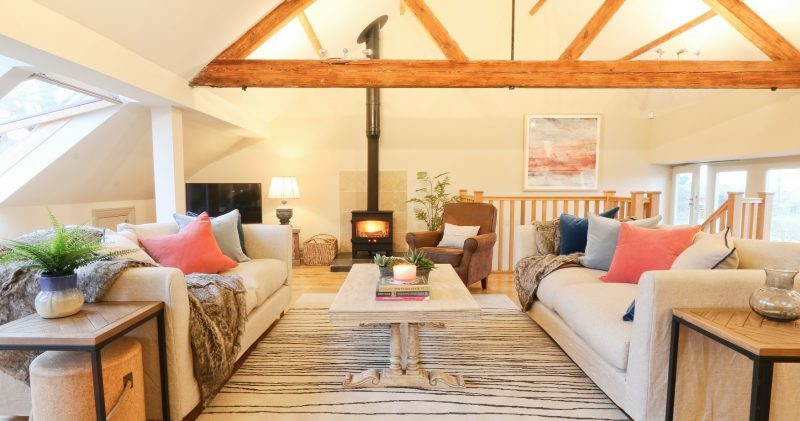 This high luxury, spacious barn conversion sits in a lovely location in the peaceful village of Langham, just a couple of miles from the beautiful North Norfolk coast and the Georgian market town of Holt. 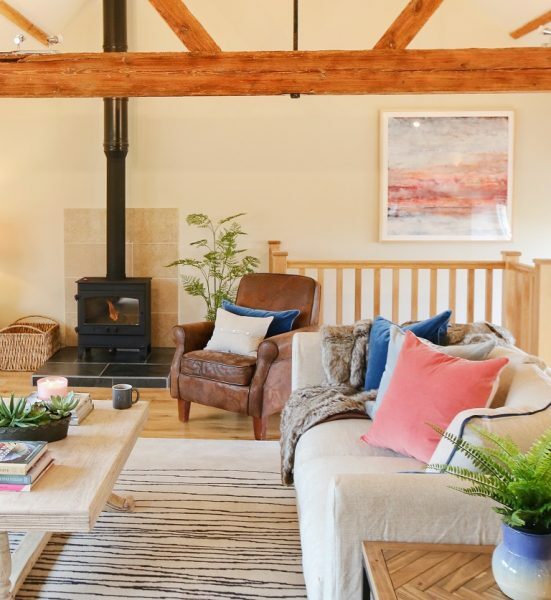 Interior designed by Alexandra Johnson, this beautifully barn is one of the finest holiday properties to join our portfolio. 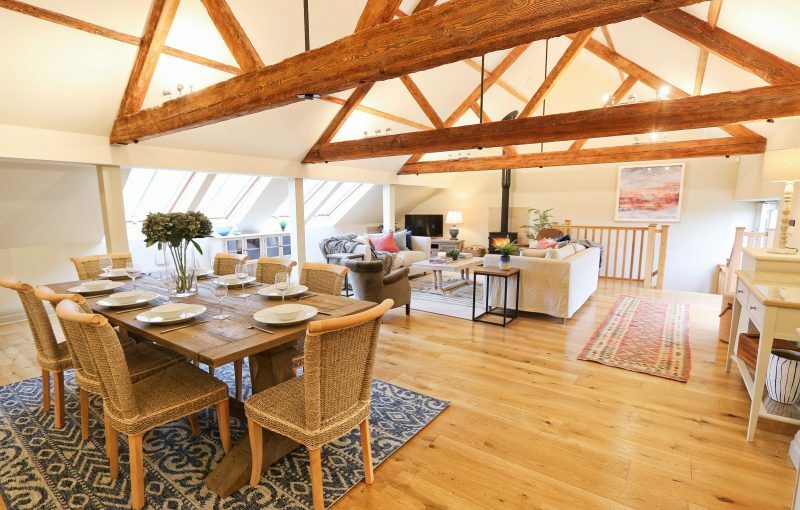 The open plan living area is situated on the first floor and has a real sense of space with its high ceilings and bright interior. 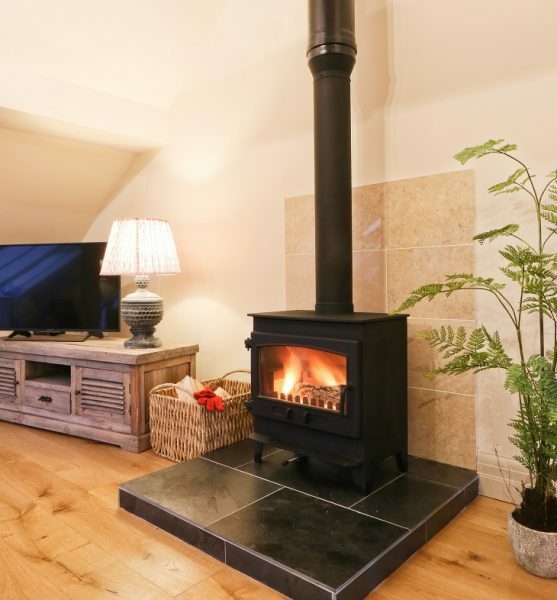 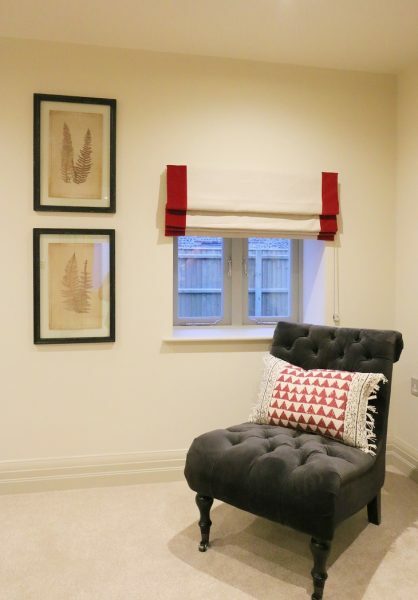 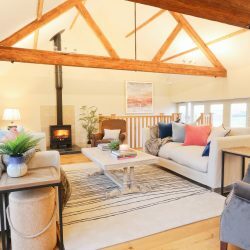 The sitting area has stylish and comfortable soft furnishings that surround a cosy wood burning stove- adding ambience and warmth to those chilly winter evenings along with a large LED Smart TV with a full Sky package including sports and movies. 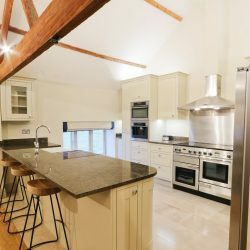 The kitchen is the holiday chef’s dream, at the centre of which is the Rangemaster cooker with 5 induction plates, a dedicated grill oven, and two further ovens. 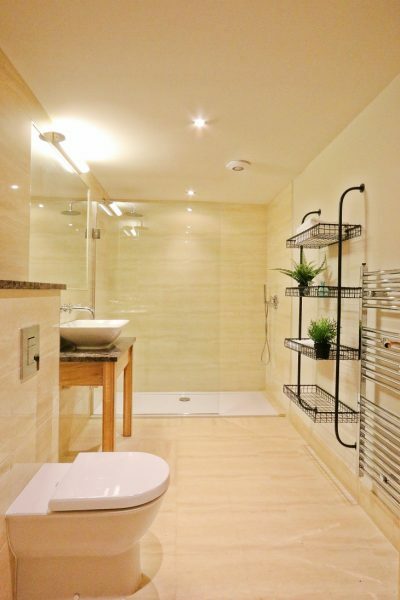 There is also a separate microwave grill for the more practically minded and a built-in coffee machine. 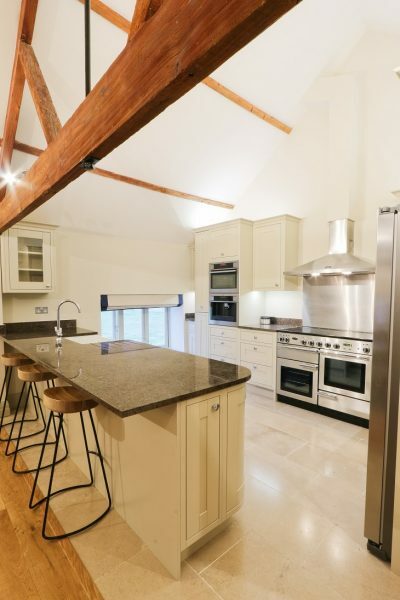 This fantastic kitchen will make rustling up gastronomic delights for your friends and family a joy. 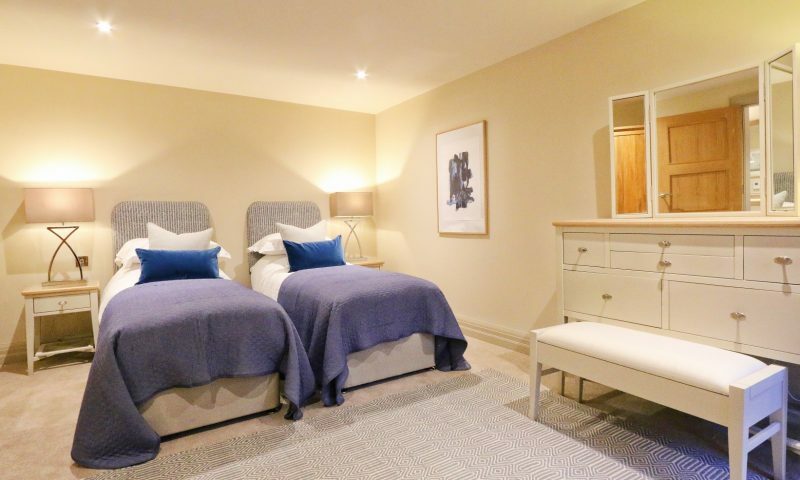 On the ground floor there is four good-sized bedrooms. 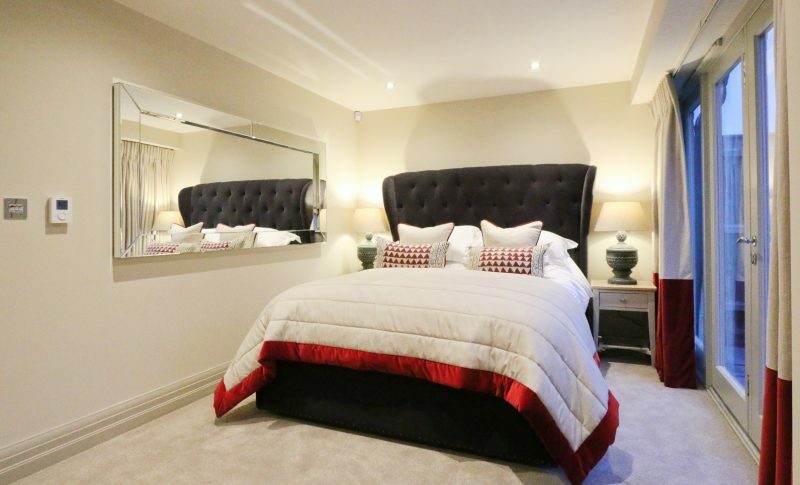 The master bedroom is another spectacular space home to a stylish, comfortable super king bed. 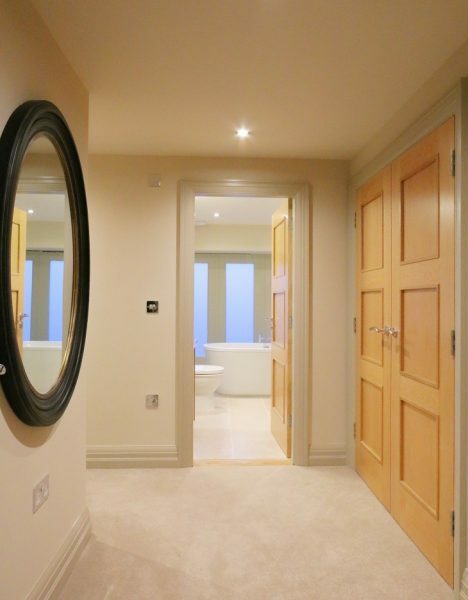 Large French doors add to this rooms light and spacious feel. 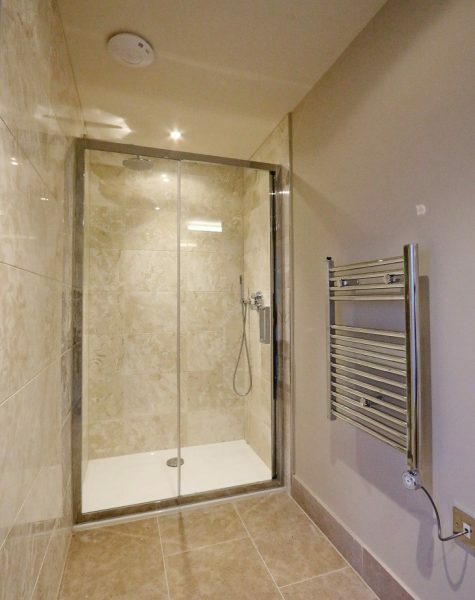 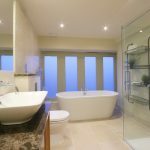 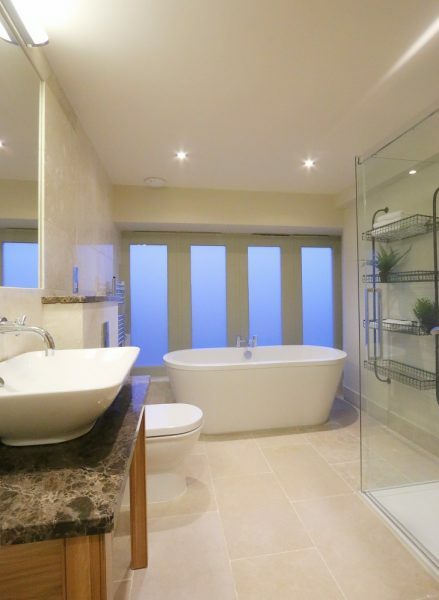 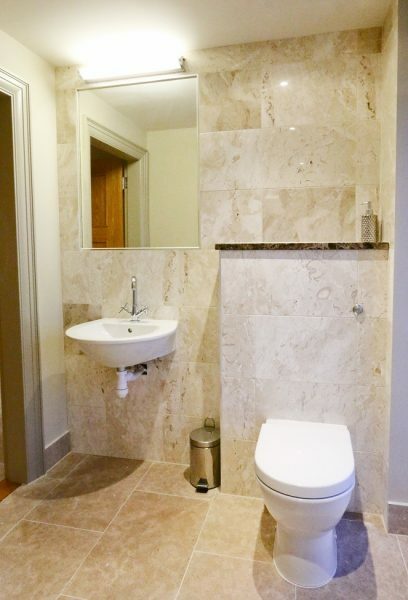 The en-suite is a real treat with its large free-standing bath and walk-in rain shower. 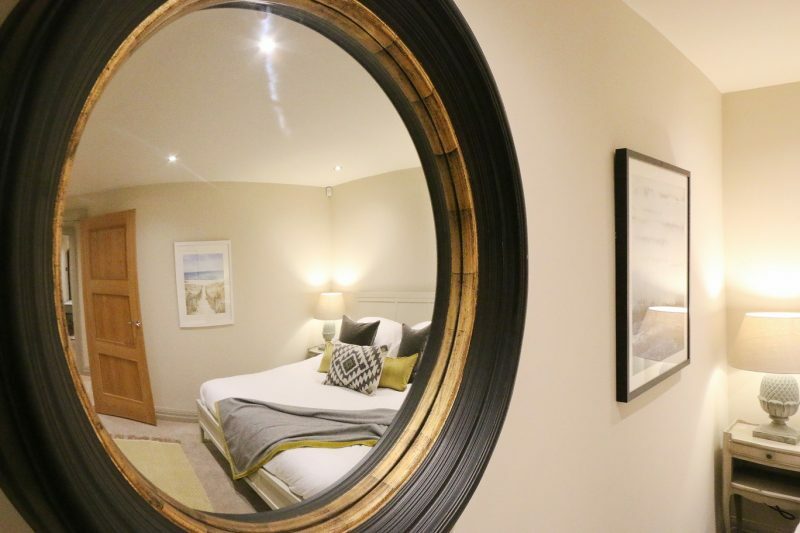 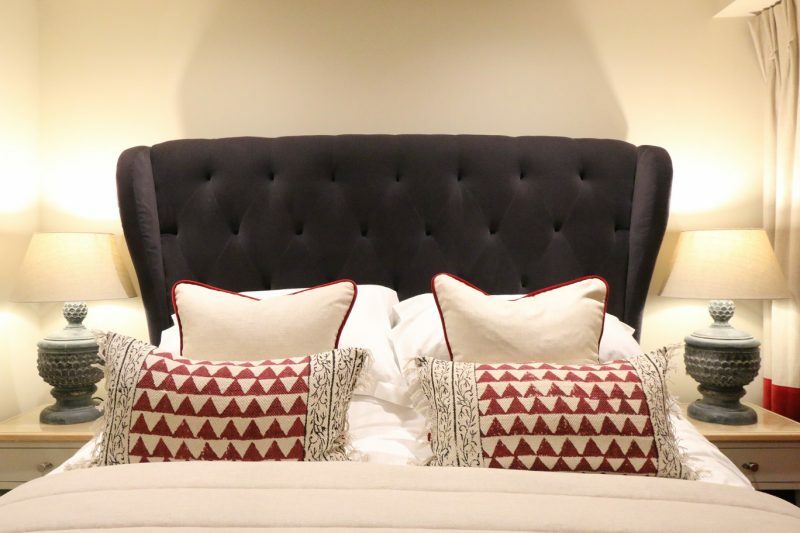 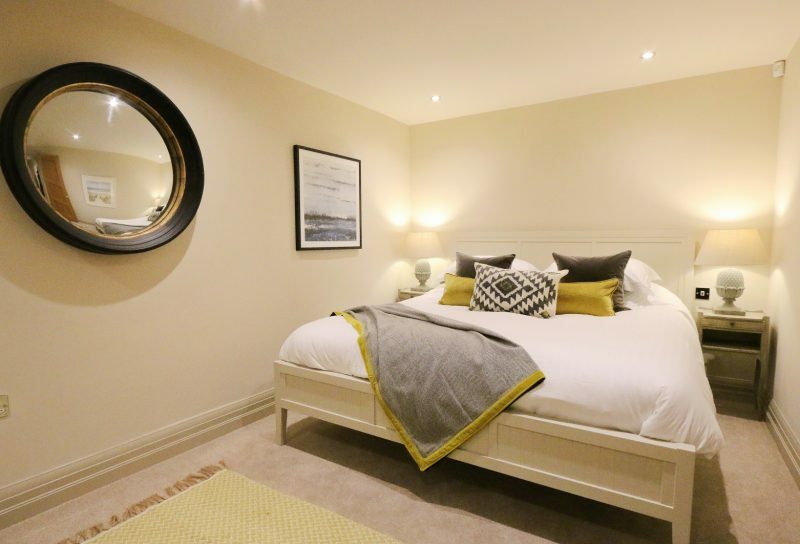 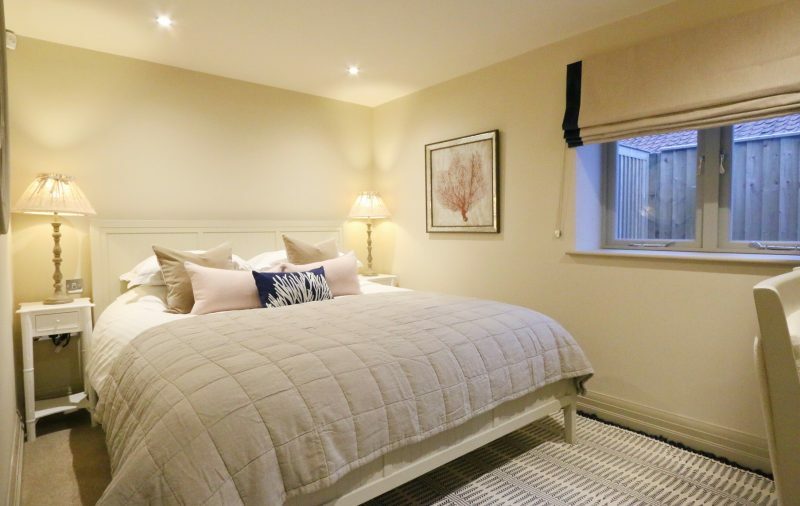 The second bedroom has a comfy super king bed and ensuite with walk in shower. 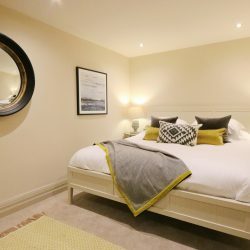 The two other bedrooms on the ground floor are both a good size, one a super king room and the other a zip and link which can be made up as either a twin or double bedroom. 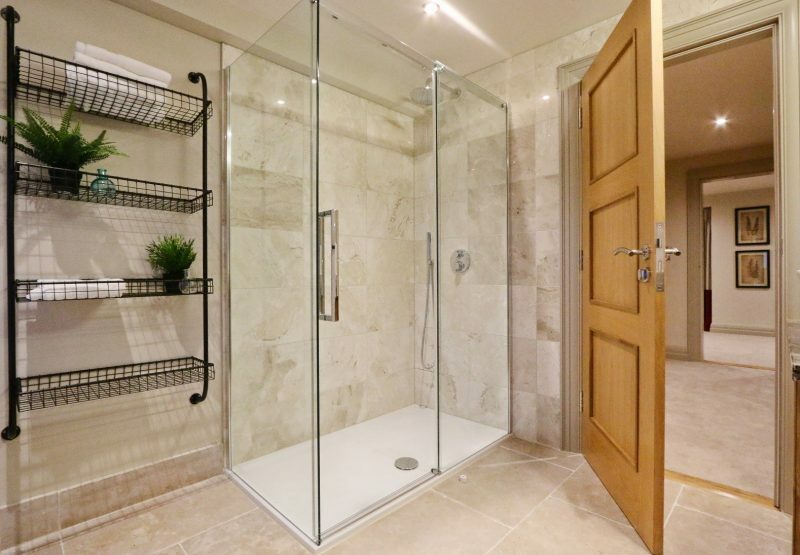 (Please give us a two weeks’ notice of your requirements) Both bedrooms have use of a family shower room with walk-in rain shower. 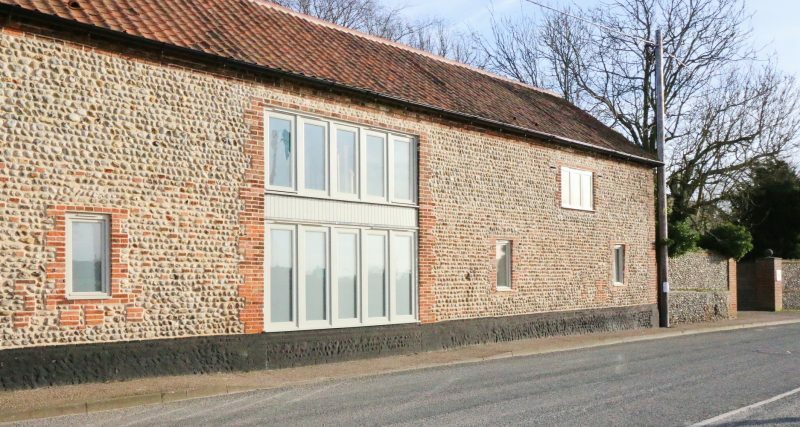 Located just inland from the beautiful North Norfolk Coast, Langham is a lovely, peaceful rural village. 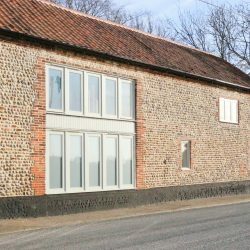 The house sits among a tasteful collection of cottages and barn conversions on the old ‘Langham Glass’ site just about a mile from the North Norfolk coast at Morston and Blakeney. 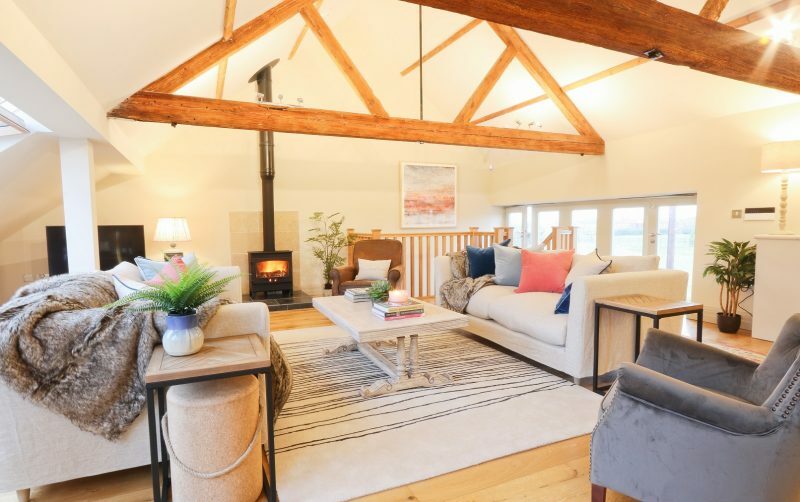 Nearby Morston Quay is home to the seal trip boats which offer guests the opportunity to take a boat out to Blakeney Point and see Common and Grey seals basking in their natural habitat. 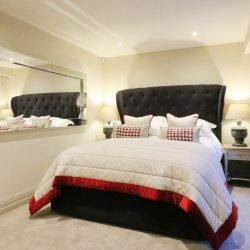 The Georgian Market Town of Holt is only a few miles away offering restaurants, pubs and good shopping facilities. 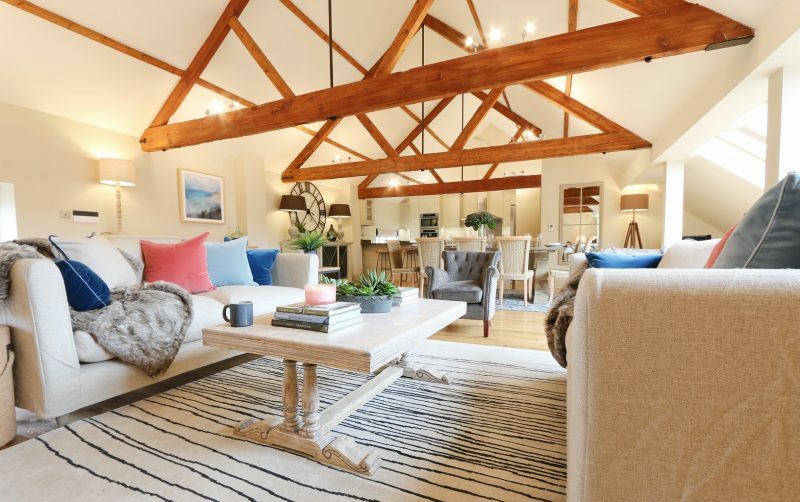 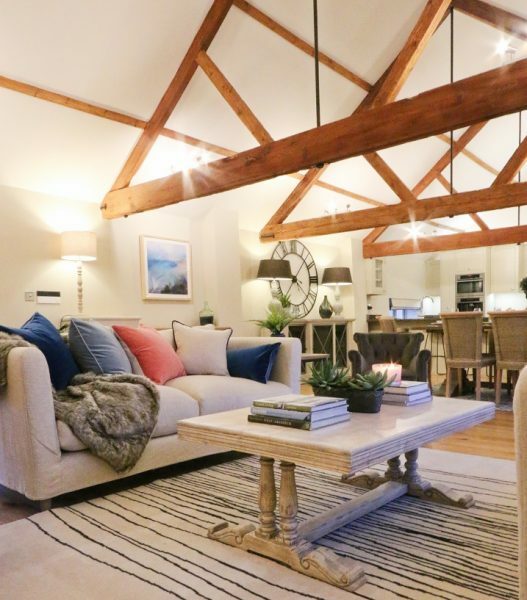 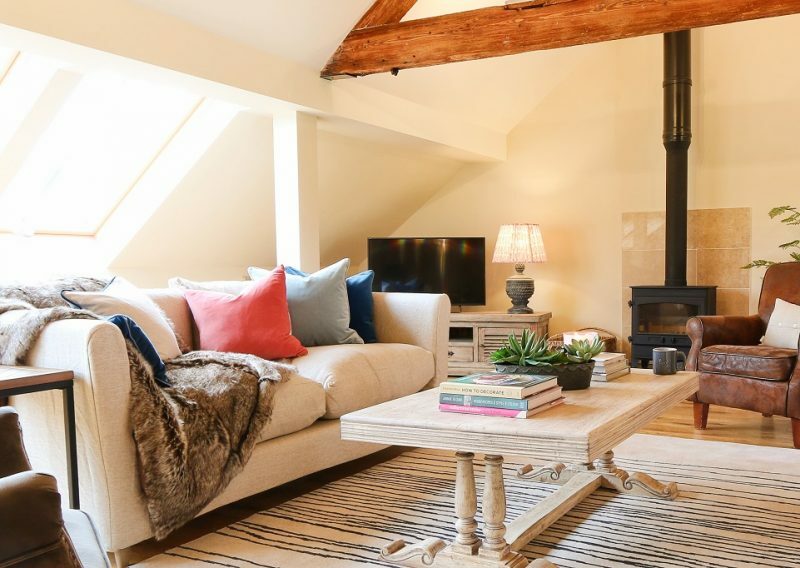 With the perfect blend of practical and luxury, Jacobs Barn represents perfect holiday accommodation, a place to relax, unwind and make special memories with family or friends.